The makers of Krispy Kreme doughnuts are looking to introduce a new flavor and you can help. 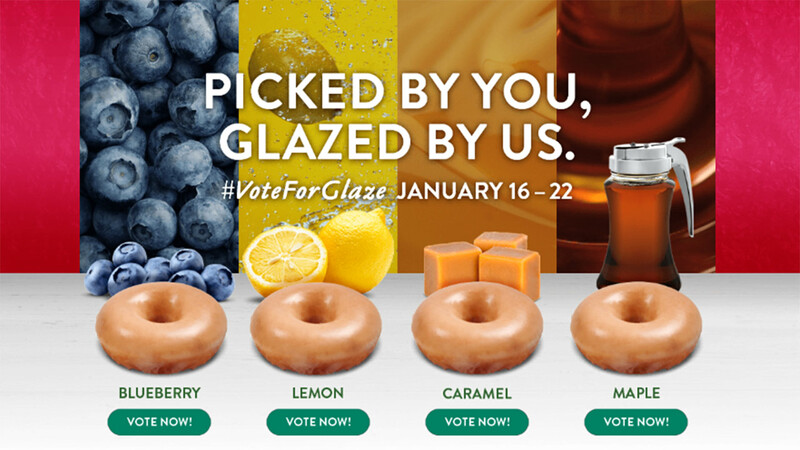 From now until Monday, you can vote on which new mouth-watering glaze will cover the donuts. You get to choose from blueberry, caramel, lemon, and maple. The website allows one vote per day. Last year the company turned its donuts green for Saint Patrick's Day and created a chocolate glaze to celebrate the eclipse. Krispy Kreme will announce the winner on January 25.